Chicken soup is a warm, comforting, cure-all, home-cooking classic. It is also maybe a little boring. Not that there’s anything wrong with a clear golden broth flecked with bits of chicken and thin carrot coins. It is delicious, of course, and sometimes — especially if you’re not feeling your best — boring is good, and what you need. That said, don’t you wish that sometimes your chicken soup were a little heartier, a little sassier — well, a little less boring? Maybe that means a version that is slightly more stew than soup, thanks to the thickening power of tiny, sliced potatoes. Perhaps the sweetness is toned down, because you’ve used fennel instead of carrots, and you’re using it all of the ways — bulbs, stem, seeds — which add earthiness. 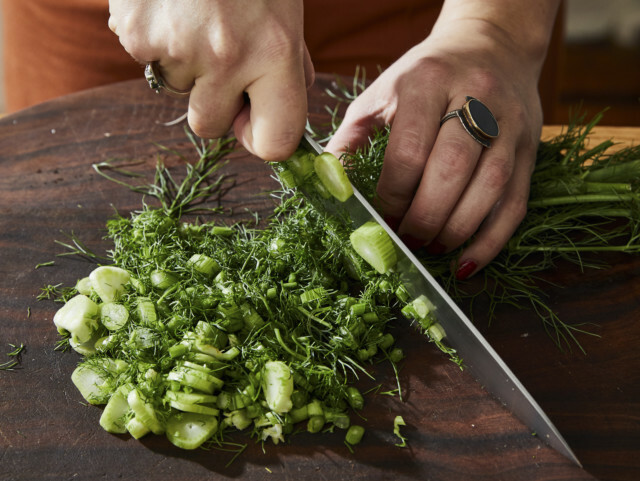 Maybe the broth is a bit herbier because it’s loaded with plenty of fresh dill, and maybe it’s a bit brighter since you’ve added a whole chopped lemon — peel, flesh and all. If you want to get crazy, you could add a dollop of something creamy, like sour cream or full-fat Greek yogurt, to make the mixture even richer, almost like the filling of a chicken potpie. 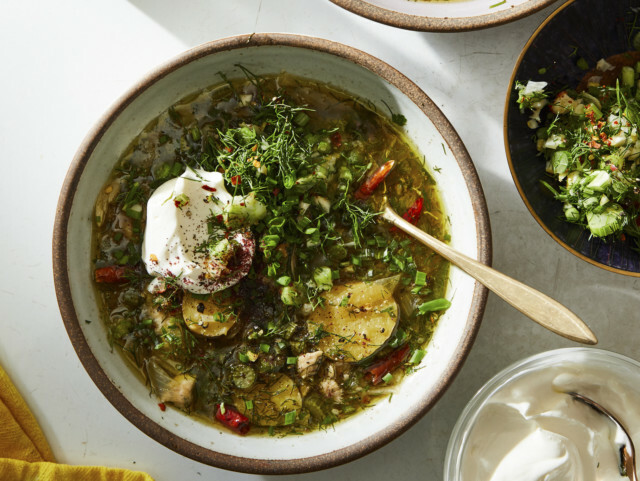 At this point, you’re on your way to a very sassy soup — but you could take it one step further with a fried dill and fennel seed situation I use to top each bowl. Do not skip it. 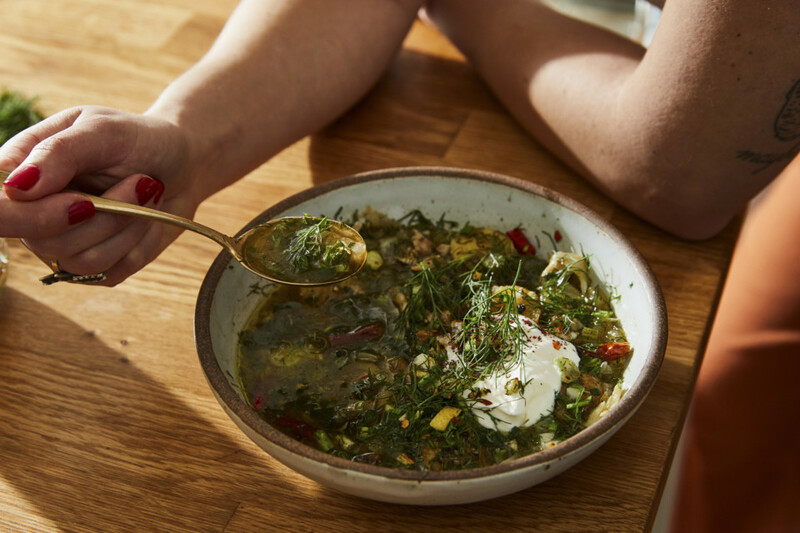 While the soup finishes cooking, toast some fennel seeds and chopped dill in a bit of hot olive oil, cooking until they’re wildly fragrant and almost crisp. Spoon this quick condiment over your bowl, and you will not be sorry, even as you wash that extra pan. It’s a small step, but one that is truly worth your while. I should also mention that since you’re using bone-in, skin-on chicken parts, instead of a whole bird, the soup comes together in about an hour. Yes, that means you’ll be picking meat from the bones, but the skin and extra bits go such a long way toward building a delicious broth. 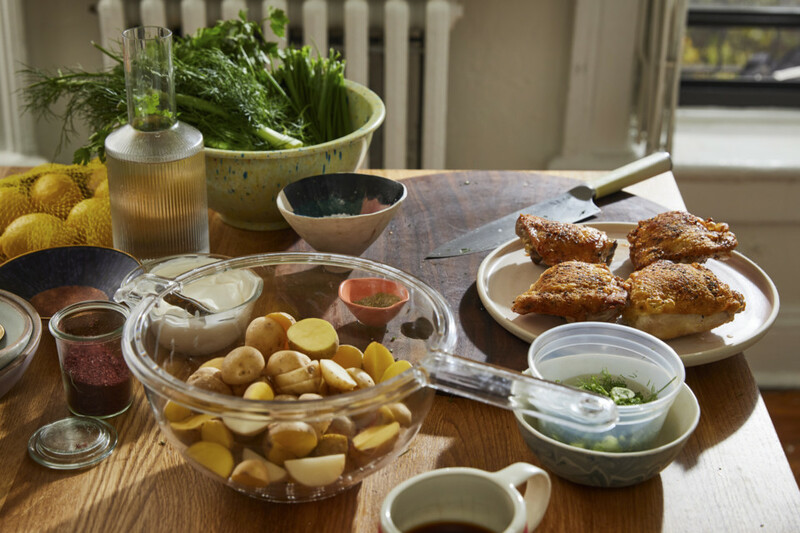 This recipe is not meant to take the place of your beloved classic chicken soup. And it’s not a needless upgrade using fancy ingredients or special equipment (although I bet it would work well in an Instant Pot). Think of it more as an evolution of the dish, one that you might make as an alternative — or when you’re wanting a little excitement in your life. 1. Season chicken with salt and pepper. Heat 2 tablespoons olive oil in a large Dutch oven or heavy-bottomed pot over medium-high heat. 2. Working in batches, add chicken, skin-side down, and cook until skin is well browned and fat has started to render, 5 to 8 minutes. Using tongs, flip chicken and continue to cook until well browned, another 3 to 5 minutes. Leaving all the fat and drippings behind, transfer chicken to a rimmed baking sheet, a large plate or a cutting board and let rest. 3. Meanwhile, if you’ve got the top of the fennel bulb, thinly slice it, fronds and all; set aside. 4. Coarsely chop the white part of the fennel bulb and add to the pot along with the garlic and onion. Season with salt and pepper and cook, stirring occasionally, until the vegetables have softened but not yet browned, 5 to 8 minutes. Add potatoes, chopped lemon and chiles, and stir to coat. 6. Return meat to the pot along with the thinly sliced fennel top, if using. Season the soup with salt and pepper, turn the heat to medium-low and continue to gently simmer while you make the toasted fennel seed topping. 7. Heat remaining 4 tablespoons olive oil in a small pot or skillet over medium. Add fennel seed and half the fresh dill, and swirl until fennel seed is toasted and dill is sizzling and crispy, about 2 minutes. 8. Divide soup among bowls, and spoon fennel seed topping over it, followed by scallions and remaining fresh dill. Add a dollop of yogurt or sour cream (or crumbles of feta) and sprinkle with sumac, if you like. Zest the remaining lemon over the bowls, then cut lemon in half to squeeze juice over them too.